When it comes to wardrobing, you gotta get the good stuff. What in the world did she just say, you ask? 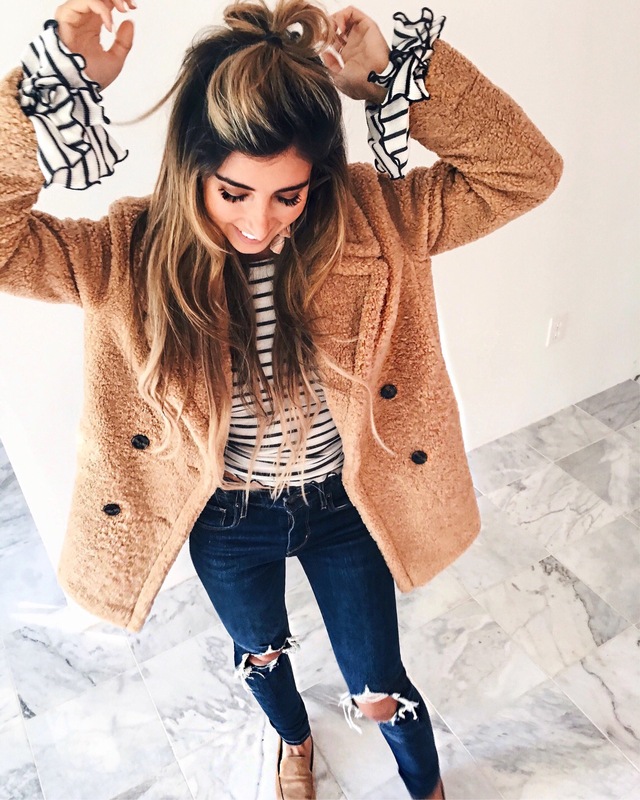 Honestly I just loved the way that sounded – but here’s something that makes more sense: when you’re building your fall wardrobe, make sure you start with the staples. Problem area #1 occurs when you start buying all the fun stuff, and suddenly you’re left with the “million clothes and nothing to wear” syndrome. What’s missing? The good stuff, also known as the staples. These are the items that are your foundation for every outfit. They transition from day to night, and they are versatile, allowing for more than one wear. They’re simple, and sometimes go unnoticed; but they can make or break your everyday wardrobe (you know – the one you’re wearing e-v-e-r-y-d-a-y). They are the good stuff and oftentimes they’re overlooked. I’m going to walk you through my fall staple list. Remember, these aren’t the fun earrings or the fuzzy sweaters I’m posting on my Instagram. A lot of the pieces are casual, and they’re great for layering, for everyday throw-on wear. And they’ll make an outfit … and sometimes without, they’ll break an outfit. I completely agree with your staples! Loving your picks for each category! Great post and reminder, especially for me! I fall in that category of buying too many cute things but not the basics which leaves me with funky outfits. I agree that neutrals are everything, especially the booties. I need more reminders like these, haha! A capsule wardrobe is so important to have! It makes creating outfits so much easier!